“What? !”, you say? How is this pos­sible that sug­ar influ­ences eczema! I don’t even eat sug­ar! Dietary sug­ar is not only just the white stuff. 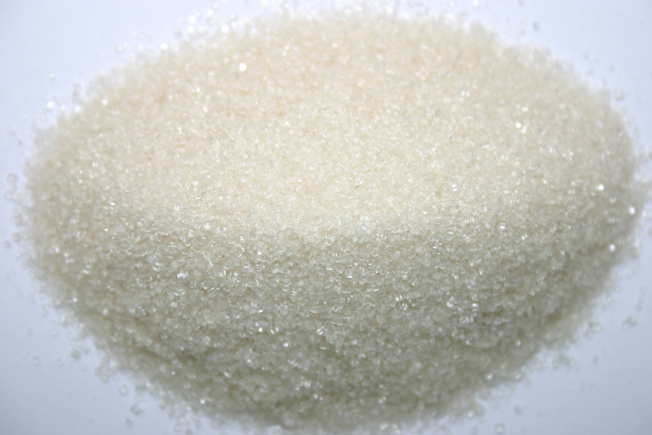 Sugar is also found nat­ur­ally in fruit, fruit juices and baked goods, and of course the “nat­ur­al” sweeten­ers (because tech­nic­ally sug­ar itself is nat­ur­al) like agave, honey, stevia. Simple sug­ars, like those from fruit, are not “bad” for us per se, but everything in mod­er­a­tion is key here. No more than 3 servings of fruit a day is really neces­sary for an adult or a child to get the health bene­fits from fruit. Do a sug­ar tally of your day; write down every source of sug­ar you can think that you might eat. In some of the tod­dlers I treat with eczema, we found they were eat­ing 6 – 8 servings of fruit a day! That is a lot of sug­ar for any­one, let alone someone with a still-devel­op­ing immune sys­tem.